Happy last day of Summer! That means it will soon cool off enough for us to start sitting outside without crazy mosquitos and getting overheated. And THAT means it's time to bring your 4-legged friend out to eat with you more often. Maddie and I had so much fun giving some dog-friendly recommendations on Lowcountry Live today! If you missed it you can see a replay here where I talk about my favorite restaurants and dog-friendly shopping. I figured this was a good time to share some oldie but goodie photos from one of my recommendations, The Americano. The Americano is one of my favorite places to eat, drink, and hang with Maddie and the husband! They have awesome happy hour specials Monday-Friday from 4-7, and you can get 1/2 price on most of their bottles of wine on Wednesdays ALL day. I usually just stick to my old favorite, the Mexican Mule, which pairs great with their delish tacos. I would also say this is arguably the best brunch in Mount Pleasant, so the next time Okra Grill is too packed just head down the street to @theamericanomp. You have probably already tried their sister restaurant, The Rarebit, but this place is worth the drive to Mount Pleasant for even cooler ambiance! Inside, they have impeccable Florida-inspired decor, and it's finally getting to be perfect weather to try out their outdoor shuffleboard game. 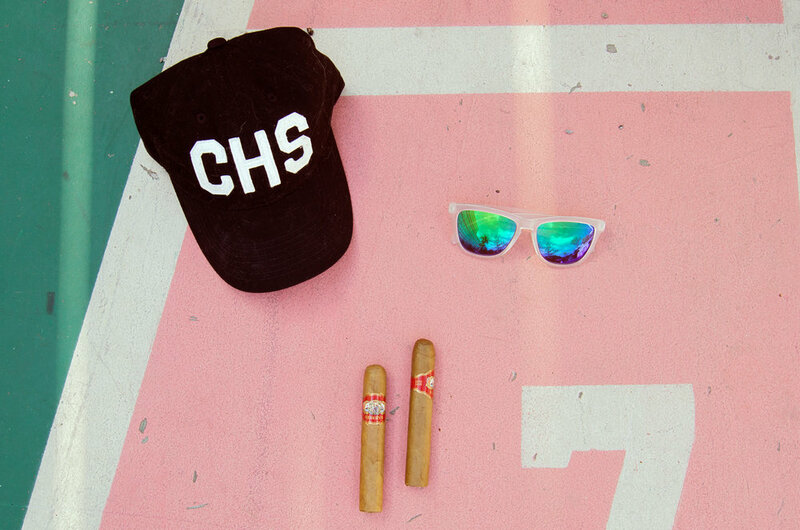 I'm also pumped to announce that if you like my weekend go-to CHS hat that's pictured, I will finally have them in next week and you can preorder now!